It can be challenging to hold the Subjective Reality perspective all of the time, especially when you are just starting out. Here are some tips and ideas for helping to bootstrap yourself into the Broader Context. But please bear in mind that these are things that have worked for me and for others. It doesn't guarantee they will work for you. Only you can determine what will or won't float your metaphysical boat. This blogpost started as a response to an email from a reader, but has since taken on its own dimensions. Thanks, EJ! Achieving and sustaining the Subjective Reality headspace can be extremely difficult or even impossible if you have unresolved unconscious issues. The first order of business is to identify, mitigate or, ideally remove these barriers lurking below the level of awareness. 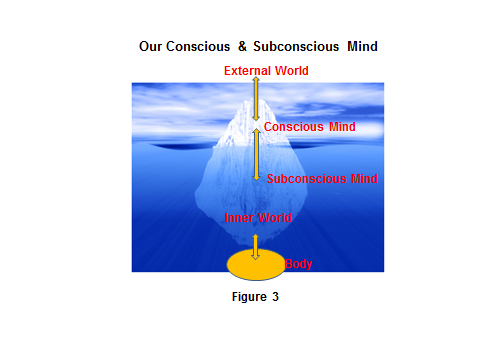 Current research tells us that some 90+% of our consciousness is underwater - much like an iceberg. With that much below the surface, the average person is mostly unaware of their own motivations and needs - unless they have begun the arduous task of inner work. After much research and self-observation I discovered that, first of all, if there are any hidden beliefs that you are unworthy, or some other (usually childhood) negative programming or unhealed trauma, it can interfere with keeping the headspace - sometimes making it well-nigh impossible to attain the inner stillness require to contact and hear your inner being. Gurdjieff has a good explanation of why this is so - because it takes a lot of a certain type of energy to sustain that state of consciousness, just like it takes a certain kind and amount of energy to mow the yard or paint a watercolor of a lily. Although we daily generate sufficient energy to do the tasks of life, as well as to reach deeper levels of consciousness, we often waste the necessary energies in non-productive activities. So you’ll be cruising along, all groovy & cosmic, when something triggers an unresolved unconscious issue and... the ego kicks in, and starts wasting time & energy in unproductive states like worry, fear, anger, self-pity, etc. We can fritter away our vital spiritual energies without even realizing it until too late. without even realizing it until too late. Gurdjieff’s answer is to join an intended community, in which everyone is dedicated to raising their consciousness & helping others to raise theirs as a group. So if you start slipping, there are others & structures to help get you back up to speed. Now, I have never experienced this kind of intended lifestyle, and it can be a bit radical. Not everyone has the circumstances that would allow them to move to Sedona (or wherever) or join a monastery or an ashram. But it seems to work for many people. 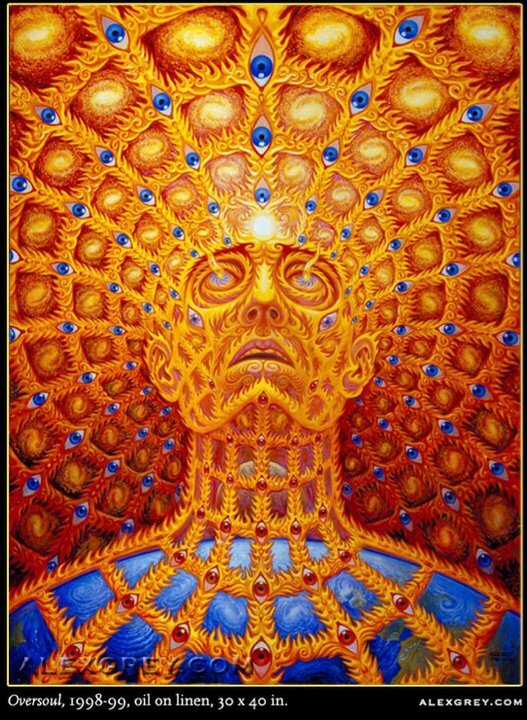 Other radical methods that might not be everyone's cup of tea include hallucinogens, such as mushrooms, DMT & ayahuasca. Not so much LSD, IMHO, as that tends to bring about a different kind of headspace, but that just could be me. John Lilly writes at length about what he called “metaprogramming of the human bio-computer.” What that entails is using entheogens as a means to bring up negative unconscious programming (mostly unresolved childhood crap) & to re-program yourself consciously. This is not something to be undertaken lightly or just for "fun." Ultimately, that is the quest we are all on - to re-write the consensus reality conditioning to suit your own goals & desires. Psychotherapy can be useful in digging up old negative programming, but sometimes, it can a) take too long & b) replace one kind of crappy programming with an only slightly less crappy programming, so you need to be careful in choosing a therapist & type of therapy. & removing all obstacles to SR. It also helps to read books by and about saints, sages, mystics and teachers of all types. Every faith has it's own share of mystics, if you go looking for them. Christianity's St. Francis and St. Hildegard, as well Mother Theresa, all can help you find insight, if you like that flavor. In Hinduism, Ramana Maharshi and Yoganada, as well as the Bhavagad Gita are very helpful. In Islam, you have the lovely Sufi tradition, with Rumi, Hazrat Inayat Khan and Omar Khayyam. Buddhism has some wonderful stuff in the Dhammapada, as well as many other notable expositors in Zen and Tibetan Buddhism. The Dao De Jing also can't be beat. If your tastes run towards the more contemporary, I highly recommend A Course in Miracles. If you can handle the heavy Christic language, the daily exercises can be very helpful, as is the text, itself. I have done the Course through about 7 times and still find lots of great nuggets. In Hinduism, my tastes run towards the iconoclastic, so I like the works of bad boy guru, Paramahansa Nithyananda. For Sufism, it's hard to compete the guys I listed above. I am currently unaware of any contemporary teachers that I would recommend. (But if you've got one, I'd LOVE to know about it!) Buddhism has several great teachers, including (of course) the Dalai Lama and Adyashanti. Now if you don't savor the flavor of established religions, you can always check out Abraham-Hicks, Wayne Dyer, Bruce Lipton, Marianne Williamson, Jed McKenna, Robert Schoenfeld, John C. Lilly, Timothy Leary, and of course, G.I. Gurdjieff (and his students, P.I. Ouspensky, John Bennett, Jacob Needleman and many more. Steve Pavlina has a lot of great blogposts & a particularly helpful podcast on Subjective Reality specifically. Optimally, arranging your whole lifestyle to remove the obstacles & reinforce the mindset are what is needed (which is why intended communities are recommended). Easier said than done, I know. Again, Gurdjieff has a good way of looking at it. In Ouspensky’s book “A Possible Psychology of Man’s Future Evolution,” he talks about multiple “I”s, which compete for energy & control. 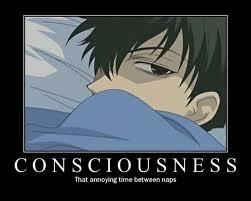 It is unconscious and/or rebellious ‘sub-personalities’ or “I”s that pull you out. You can think of these unresolved issues as your sub-personalities, or “I”s. The trick is to get all of the many parts of you working together, which may involve a lot of inner work, as these sub-personalities developed as coping mechanisms for specific needs, but may have become outmoded or unnecessary. If you are interested in learning more about G, I have a good playlist of videos on YouTube. I find that some form of creative self-expression also helps to bring up the unconscious goo for purging, hence my novels. I also dabble in art and cosplay. If you enjoy some form of creative self-expression, use it as a tool. You can learn a lot about yourself from observing yourself both in the act of creating and in receiving feedback from others on your endeavors. It becomes very apparent that what you are is not what gets expressed, and the illusory nature of consensus reality is revealed. Abraham-Hicks has some good tricks for telling when your mindset is slipping, before it’s too late, with their “Emotional Guidance System.” I suggest you check it out, if you have not already. If you can, stop drinking water containing fluoride. It makes a bigger difference than you might think. If you are curious about this recommendation, I suggest you research the origins of fluoride use in water supplies. 'Nuff said. Basically, if you have been doing this for a while, then you already know what tricks work for you & which ones don’t. If you haven't, then start experimenting. Everyone is different and different techniques and approaches work differently. So try stuff out - but always listen to your gut if it tells you something is not right for you. Just because someone on the interwebs recommends it, doesn't necessarily mean it will work for you. It's your reality and your consciousness - act like it. Do Due Diligence and Respect Your Inner Guidance. It’s about finding the right balance between inner & outer expressions of self. Remember that 2 things bring up ego: 1) negativity (fear, anger, self-pity, self-loathing, unresolved traumas, etc) and 2) your own progress - the more you grow, the more the ego is going to try to keep you small. The purpose of the ego is homeostasis and SR threats the status quo, so the ego is always going to try to throw you out of SR. Its main tools are distractions and self-talk. These are what it uses to keep you too busy or too fucked up to focus within. Just remembering this is a great help. And of course, consensus reality is going to kick in with unsupportive feedback & lifestyles. Every time you make a positive step, the Universe is going to test whether or not you really mean it. Whatever techniques and tricks work for you, the key is persistence. I have been know to use meditation, affirmations, retreats, books, audios, self-hypnosis, journaling, even sticky notes on the bathroom mirror and dashboard in my car to remind myself. Forgetting your Self is your greatest enemy. Kinda like out of that Doctor Who episode. Don’t stop, don’t let up. If you fall off the wagon, get up & get back on. Nothing can replace conscious effort. It’s like learning to walk. When babies learn how to walk, they fall - a lot. But they keep on getting up & trying again. And that’s what you have to do, as you are re-tuning your brain to function on a different frequency than it is used to being on. The ego will keep trying to return to what it considers “normal,” until you have been at it long enough that SR becomes the new normal.